There are at least 500,000 objects orbiting the Earth today. Some estimates put the figure closer to 700,000. More than 21,000 are larger than 10 centimeters (4 in), and these objects pose a threat to future space travel and life on Earth. Many are fragments of artificial satellites that were destroyed when they collided with other satellites. Today, there are over 1,700 artificial satellites in operation and an additional 2,600 that are no longer working. Most of these satellites have either completed their missions or have succumbed to malfunction. At least 30 of these inoperable objects were nuclear powered at some point. They still contain—and in some cases, leak—nuclear waste to this day. The following list discusses 10 objects in orbit around Earth that are worrisome for different reasons. Tiangong-1 is a prototype space station launched by the Chinese government in 2011. It originally had a two-year mission to test the effects of space travel on astronauts and the docking capabilities of other spacecraft. The mission was extended beyond its original plan before finally being abandoned because the operators of the station in China claimed that they no longer had control of it. 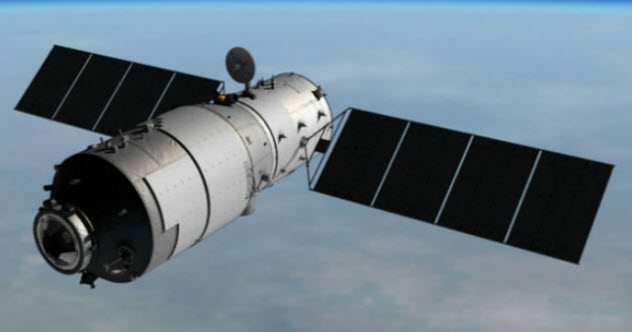 Tiangong-1 was large, weighing about 8,500 kilograms (19,000 lbs), and was capable of housing two astronauts at a time. Although most of the station incinerated in the atmosphere upon reentry over the Pacific Ocean in early April 2018, the expectation was that the rocket engines were made of materials that would not burn up. Although it was once feared that these intact pieces might cause enormous damage to structures, animals, and human beings, no catastrophic events were reported. 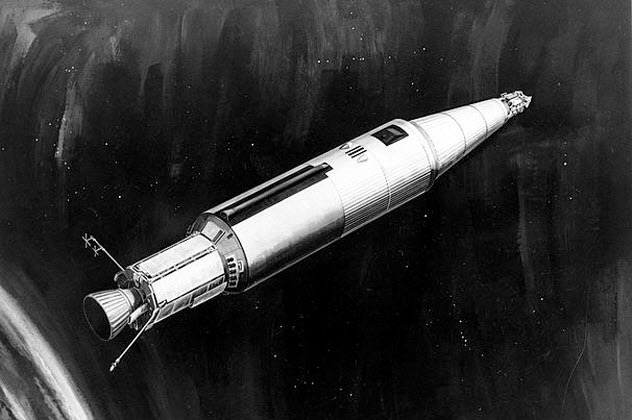 In 1965, the United States launched SNAP 10-A into space from Vandenberg Air Force Base. SNAP 10-A is the only nuclear fission satellite launched into space by the United States. It was designed as an experimental nuclear spacecraft capable of producing 500 watts of electrical power. Its primary purpose was to monitor how nuclear fission reactors behave in space. Unfortunately, the nuclear reactor worked for only 43 days, and then the power supply’s voltage regulator failed. The satellite started to fall apart in the late 1970s, and approximately 50 pieces of debris have been created as a result. During this shedding process, it was very likely that some radioactive material was released into space. The nuclear reactor currently orbits the Earth at 700 nautical miles above the surface. It will remain in orbit for the next 4,000 years unless additional shedding or a collision with another object shortens its orbital life. In 1987, the Soviet Union launched Kosmos 1818, which was powered by a TOPAZ 1 (or thermionic) nuclear reactor. The purpose of Kosmos 1818 was as a naval surveillance satellite, or RORSAT (Radar Ocean Reconnaissance Satellite). Unfortunately, the nuclear reactor on Kosmos 1818 operated for only five months before shutting down. In 1978, a similar satellite reentered the atmosphere and crashed into Earth, spreading radioactive material over Canada. Kosmos 1818 was placed into high orbit to avoid a similar catastrophe. However, its high orbit also means that it has a high collision probability. Any collision might accelerate the descent of possibly contaminated materials to Earth. Some of the objects and liquid released from the spacecraft are thought to be radioactive and are still in orbit. Kosmos 1867 was launched by the Soviet Union in 1987, the same year as its twin, Kosmos 1818. It had a similar purpose to Kosmos 1818, but Kosmos 1867 operated for 11 months before shutting down. Since it is in a high orbit like its twin, Kosmos 1867 has succumbed to the pressures of repeated solar heating. 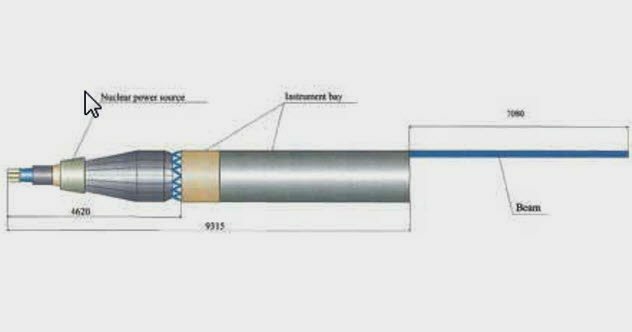 As a result, the coolant tubes aboard the satellite’s nuclear reactor have cracked and allowed the release of liquid metal into space. Kosmos 1900 is a US-A or Controlled Active Satellite used for RORSAT missions. 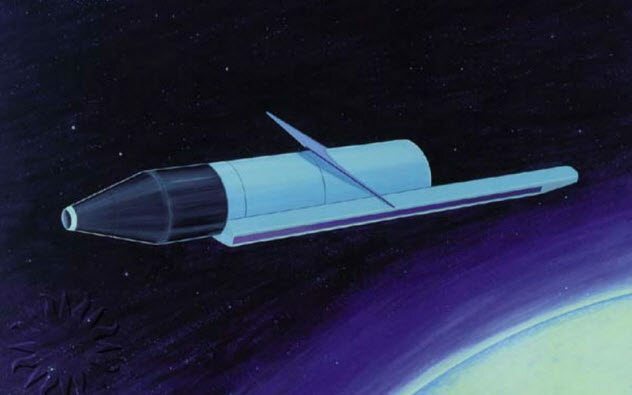 Launched in 1987 by the Soviet Union, the satellite was plagued from the beginning and never quite reached the cruising orbit for which it was designed. After several rocket boosts to try to correct its orbit, the satellite continued to lose altitude. Moreover, the nuclear reactor did not make it into its storage orbit. At some point prior to 1995, NASA determined that a cloud of liquid radioactive material had originated from the Kosmos 1900 satellite. NASA claimed that the leak was likely due to a collision with another satellite. 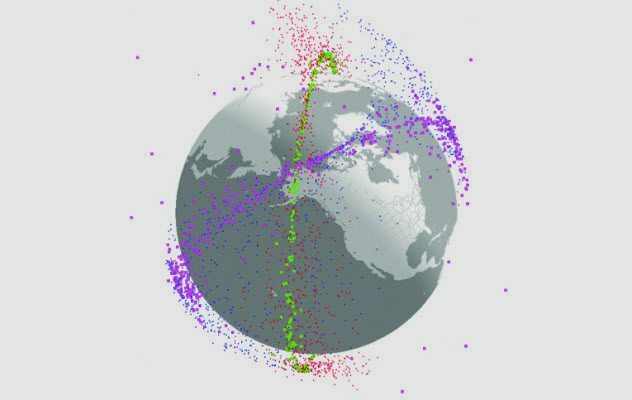 With all the satellite collisions, there is now a large debris field orbiting Earth. This debris field is perhaps more dangerous than any single intact object because of the increased chance of potential collisions from multiple debris objects. Several large satellite collisions have already been recorded, and these events have exacerbated the space junk problem. In 2009, the satellites Iridium 33 and Kosmos 2251 collided at a speed of 42,000 kilometers per hour (26,000 mph) while in low Earth orbit (approximately 800 kilometers (500 mi) above the planet’s surface). 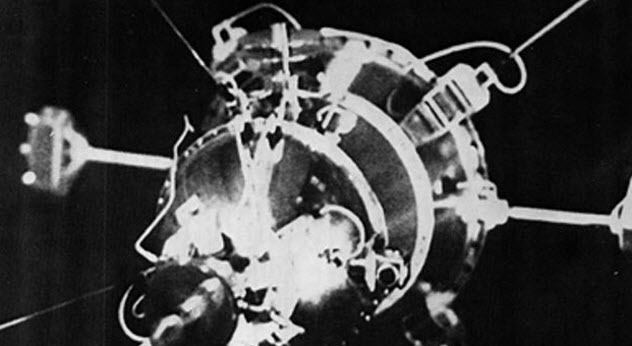 Both satellites were destroyed by the collision. Although about half the debris from the 2009 accident has now burned up in the atmosphere, several other collisions have occurred. Scientists estimate that the Iridium-Kosmos accident, along with China’s intentional destruction of a satellite by long-range missile in 2007, has doubled the number of dangerous and potential collision objects in orbit. Whether Black Knight is dangerous will depend on whom you ask. Conspiracy theorists argue that the object is a 13,000-year-old extraterrestrial satellite from the star system Epsilon Bootis that Nikola Tesla discovered in 1899. NASA claims that the object in question is nothing more than a thermal blanket that got loose during a space walk. This object is dangerous mostly for the time that is wasted on it by conspiracy theorists. 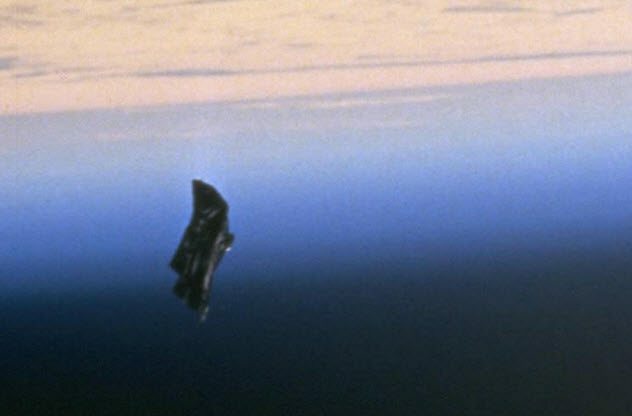 Unfortunately, more time has been wasted by conspiracy theorists and speculation about this object than all the time lost by those who died prematurely as result of falling space debris. 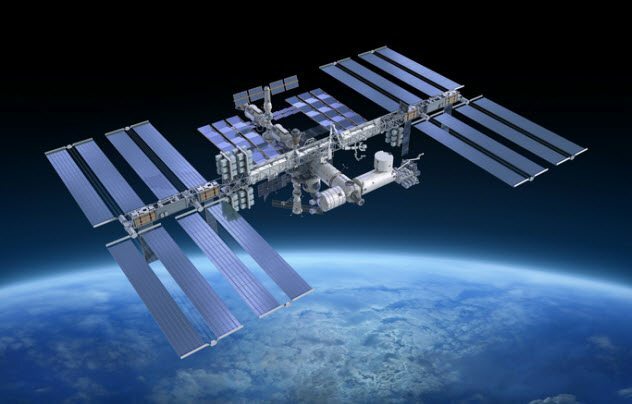 The International Space Station (ISS) does not present a nuclear or likely collision threat that we know of, but it remains one of the most dangerous objects in orbit because of its size. Collisions are possible with any space object, but any such accident with the space station could create a doomsday scenario involving space debris that is proposed by the Kessler syndrome. In simple terms, this means that an object striking the ISS might cause a cascading effect of other such accidents from all the resulting debris. At some point, there would be too much debris for us to continue with certain space activities, possibly for generations. As recently as 2017, objects have detached from the station and now have the potential to crash into the ISS. The station is also a danger to the astronauts who work aboard it. There have been several problems with the oxygen generators, carbon dioxide removal systems, environmental controls, the central computer, electrical and power systems, torn solar panels, and ammonia leaks. If one of these problems turned into a catastrophe, the ISS could quickly become a serious danger as it fell to Earth and collided with other satellites and debris along the way. The Hubble Space Telescope is not as big as the ISS. But Hubble is still one of the largest objects in orbit and a danger mostly for its collision potential. If Hubble were to strike another satellite or piece of debris, the amount of additional wreckage would significantly add to the space debris problem. Initially, Hubble was launched aboard the Discovery space shuttle in 1990 after a multiyear delay following the destruction of Challenger. 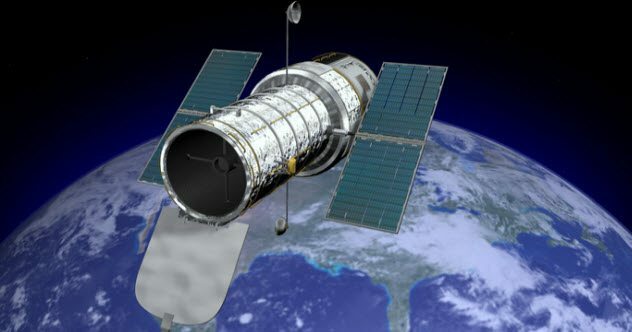 Currently, Hubble is not in a controlled orbit and is descending toward Earth. As Hubble’s materials are so strong and dense, the space telescope is not likely to burn up in the Earth’s atmosphere during descent. After entry into the atmosphere, Hubble would then fall uncontrolled to the Earth’s surface. This is likely to occur sometime between now and 2040. Envisat is a large satellite launched in 2002 to monitor the Earth’s environment and geography. Although it lasted five years beyond its original plan, the European Space Agency (ESA) lost contact with it in 2012. Envisat now poses the greatest Kessler syndrome threat in Earth’s orbit. Two objects pass close to Envisat and could cause a collision. Considering Envisat’s mass of approximately 8,200 kilograms (18,000 lb), any crash between it and other satellites or pieces of space junk would be catastrophic and create a large debris field that would be nearly impossible to clean up. The wreckage of Envisat would be so immense that the potential chain reaction of collisions proposed by the Kessler syndrome is the real danger, and Envisat represents its greatest risk. Currently, the satellite is expected to continue in orbit for approximately 150 years before falling to Earth, which greatly increases the probability of an accident. For this reason, special considerations have been made to create a spacecraft capable of removing Envisat from orbit. 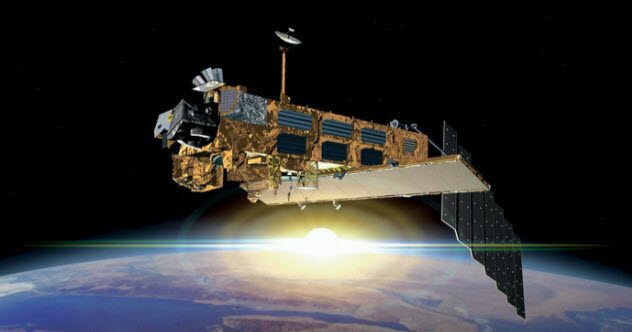 Envisat is perhaps one of the greatest ironies of our space program: A satellite that was celebrated for helping us to understand the health of the Earth’s environment is now one of the greatest risks to its orbital field. Read more intriguing facts about the objects that orbit Earth on 10 Spectacular Satellite Collisions and 10 Strange Secrets Of The Moon.